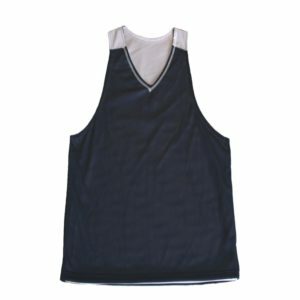 If you are looking for the ideal line of wholesale athletic apparel to add to your retail store, there are many manufacturing companies to choose from. The increasing popularity of athletic apparel as fashion wear and for sports teams alike has led to a greater demand for these garments and a number of new wholesale companies offering them online. The differences between the majority of these new companies and those that have established themselves as quality businesses are important ones to consider when stocking your retail store. This is especially true for those products that will carry your private label. When you sell athletic apparel to your customers, you want to feel confident that you are giving them quality garments that will perform beyond their expectations. While some of the more expensive brands of athletic apparel on the market today come with an expectation of high quality and a price tag to match, quality wholesale athletic apparel can provide retailers with the garments they can sell with confidence at a cost that allows them to make an impressive profit. One of the best ways to impress your customers without opting to sell the popular brands that so many other stores have is to purchase wholesale athletic apparel that is manufactured with your personal brand inside. You can make the choice to use a different brand or the name of your retail store to represent the products you sell. Today’s athletic team apparel is designed to provide a comfortable fit that enhances performance throughout every practice and game. From shorts for the youth’s soccer team to sweats for the local college basketball team, carrying the variety of wholesale athletic apparel needed to address every situation and team in your community will provide you with the resource you need to boost sales and create a reputation among all types of athletes. Offering your own line of athletic apparel with your private label is an ideal way to brand your business and increase your customer base. There are many choices you can make when you purchase private label athletic apparel for your retail store. Fabric content, weight, colors, size scale, and garment specifications are important details that will impact every sports team in your region. Not only will this help you grow your business, but it will also make it more convenient for teams who need to coordinate their uniforms for a look and feel of cohesiveness that makes them look the part of professional athletes. Dodger Industries continues to provide quality wholesale athletic apparel to teams and retail markets like they have for nearly 75 years. They got their beginning by producing gym clothing for school PE programs and continue to provide sports teams with the quality garments they need to become a unified team. Their private label program allows you to purchase the range of clothing you want according to your specifics under the name that you want. Dodger Industries has the experience and the knowledge to produce the high quality apparel athletes have been relying on for more than seven decades.